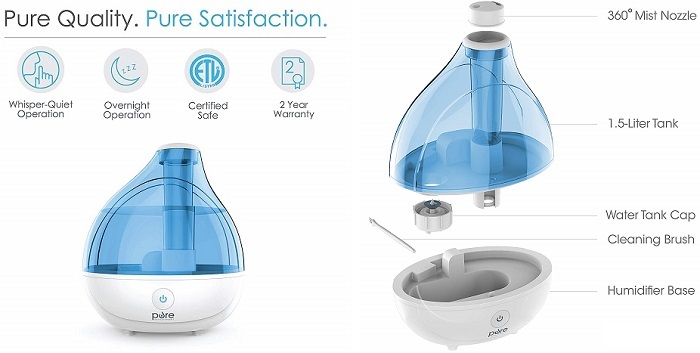 Pure Enrichment MistAire is powerful and aesthetically pleasing tabletop humidifier packed with smart features that make it the perfect solution for improving the air quality in your room. It moisturizes the dry air in your home or office in minutes. 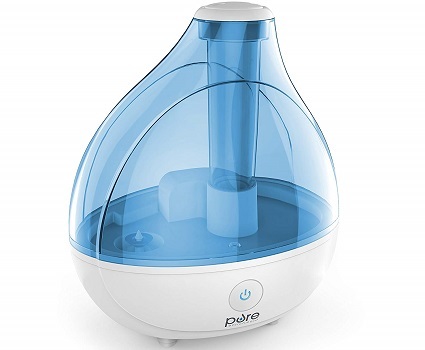 In our list of Top 5 Best Humidifiers, it ranked at #1. Pure Enrichment MistAire design is simple and sleek. You have settings that enable you to change the speed of the humidification process from high to low and adjust the direction of the mist by 360 degrees. 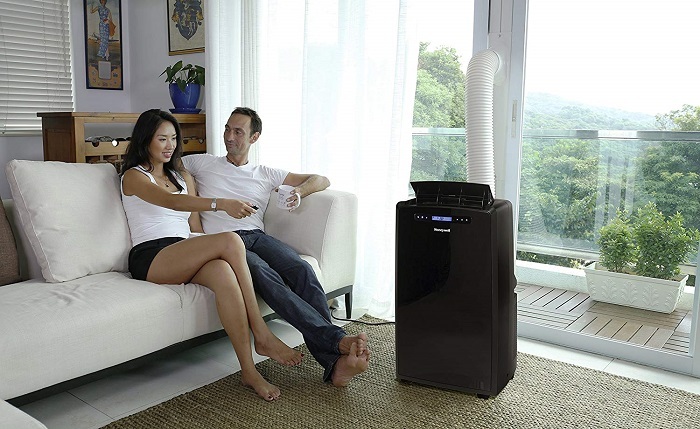 The base of this unit is made of the non-slip material, to hold the humidifier in position. The pleasant soft light blue and white humidifier will blend into any home decoration with ease. Pure Enrichment MistAire is very easy to use and has a built-in nightlight, providing comfort and convenience in the dark. It also comes with an automatic shut-off function, which shuts the unit off automatically whenever the water levels in the water tank are too low. It holds up to 1,5 liters of water to humidify the air for up to 16 hours continuously for any small to a medium-sized room. Cleaning is very easy since this humidifier has no filter. • A bit hard to clean. • The light is too bright.